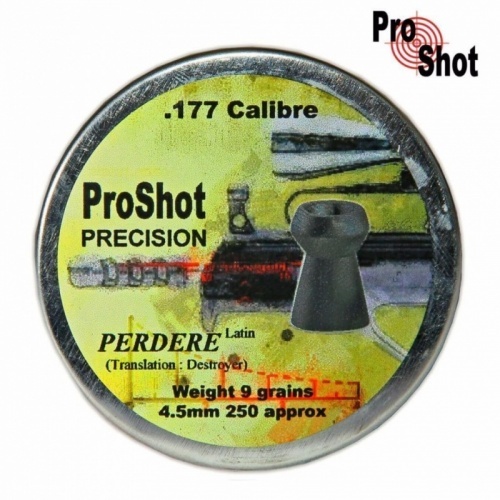 ProShot Precision Perdere (Destroyer) pellets are possibly the most devastating pellets on the market. With their fully spreading hollow point head they cause massive damage on impact. At ProShot they pride themselves on consistency and quality. The level of quality is maintained by rigorous inspections during manufacture throughout each process, and once made only the best pellets are picked to ensure each pellet is the best that is currently available.